Another delicious and easy way to eat healthy from our award-winning Executive Chef, Giovanni Filippone. 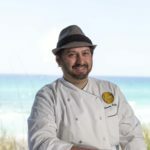 You can experience more of Chef Giovanni’s creations at Vue on 30a. Clean a watermelon and cut into one inch thick half-moon slices. Grill watermelon for 30 seconds on each side and then let cool. In a bowl mix vinaigrette with arugula and place on plate. 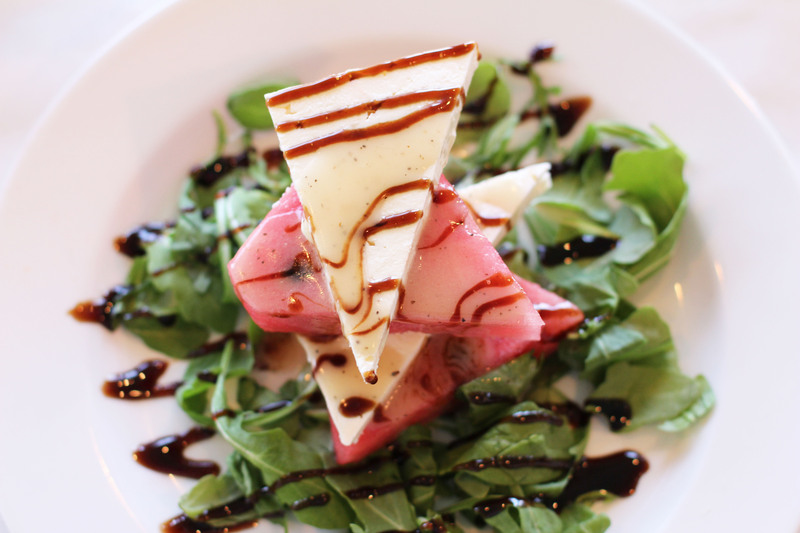 Layer the grilled, cooled watermelon and sliced feta cheese on top of arugula and finish with a drizzle of the vinaigrette. Place watermelon chunks, garlic and vinegar in a blender. Turn on blender and add mustard. Slowly add oil and emulsify. Add salt and pepper in needed.